We are in the month of August already. Seven months have gone by for the year of 2016. GiLoCatur has lost count on the number of local chess tournaments. Below are several local chess tournaments that will be held in this month. 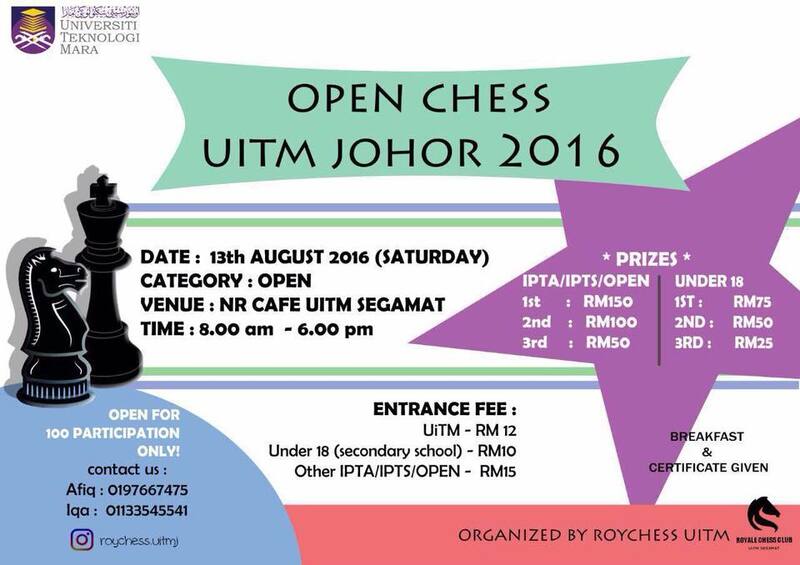 In less that two weeks, UiTM Johor will organize a one-day chess tournament at its campus in Segamat. For further detail, please contact Afiq or Iqa as per below flyer. 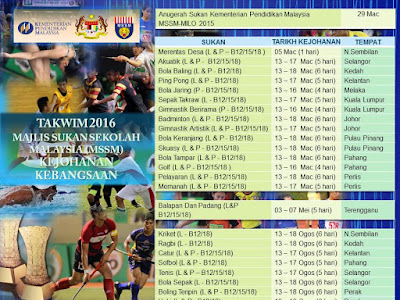 The MSSM Chess Championship for 2016 edition is a bit late compared to previous few years. In the past few years, it is held either in March or in June during school holidays. 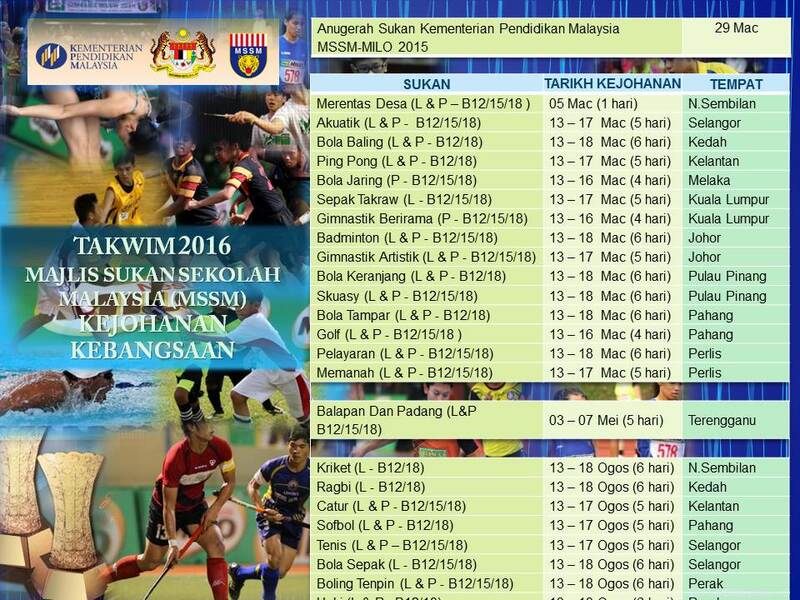 But this year, the championship will be held from 13th to 17th August. 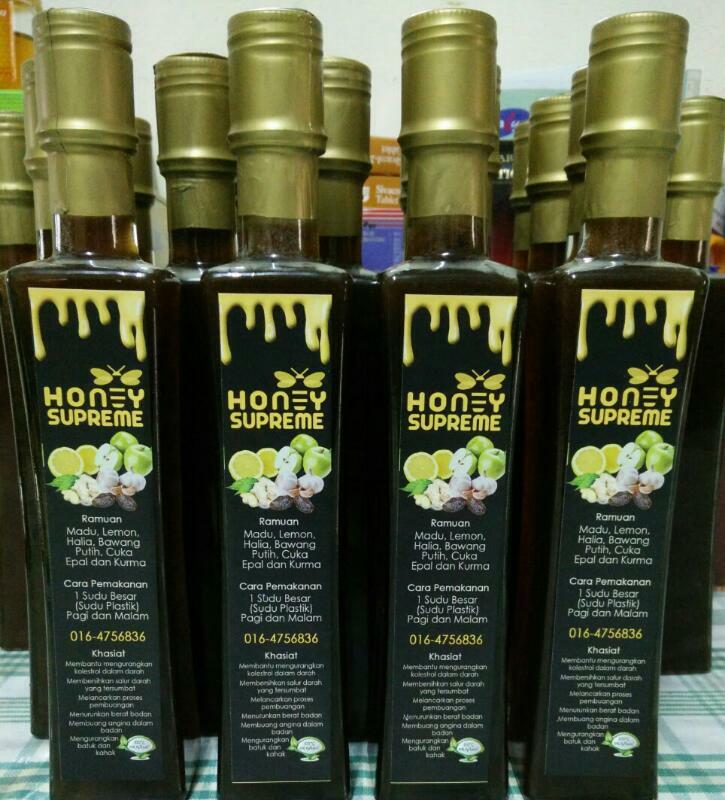 Kelantan will host the event. MASUM Chess Championship for 2016 edition will also be held this month. Chess is one of eight sports events being part of MASUM Phase 1. 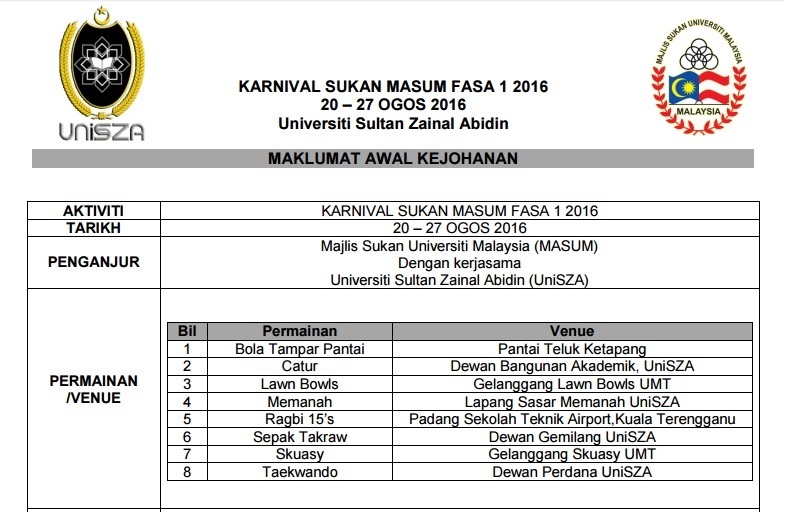 For info, MASUM is an acronym for Malaysian Universities Sports Council or Majlis Sukan Universiti Malaysia, in Malay. 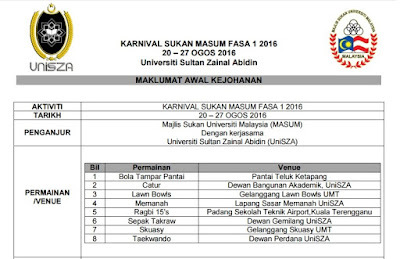 UNISZA or Sultan Zainal Abidin University, which is located in Terengganu, hosts the event. GiLoCatur is looking forward for the above chess events. Hopefully, all the above events will be published on chess-results.com. It is even better if they are broadcast live. 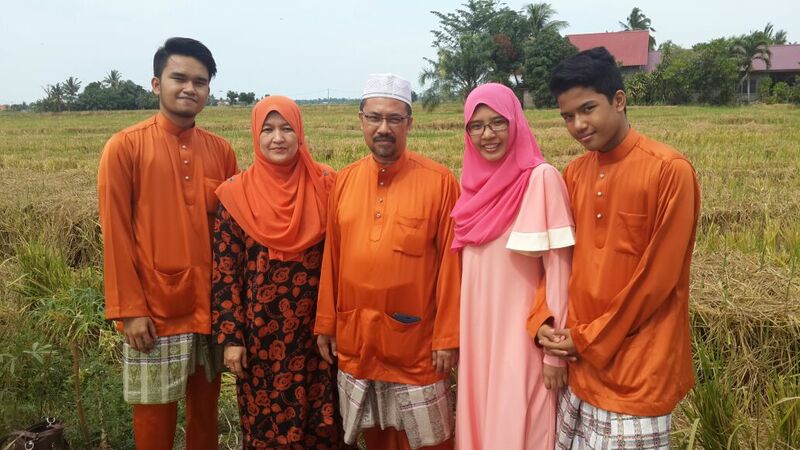 GiLoCatur believes not all the Malaysian chess community especially the parents of the participating chess players can be at the tournament venues to follow closely the events. Hopefully, GiLoCatur can provide the updates and highlight these events in this blog. So, come visit this blog regularly.